Noted historian Irfan Habib,helped me alot for my first book "Tazkara E Mashaikh E Ghazipur" .He has not only edited it but also provided me the map of ghazipur district during the time of BADSHAH AKBAR. 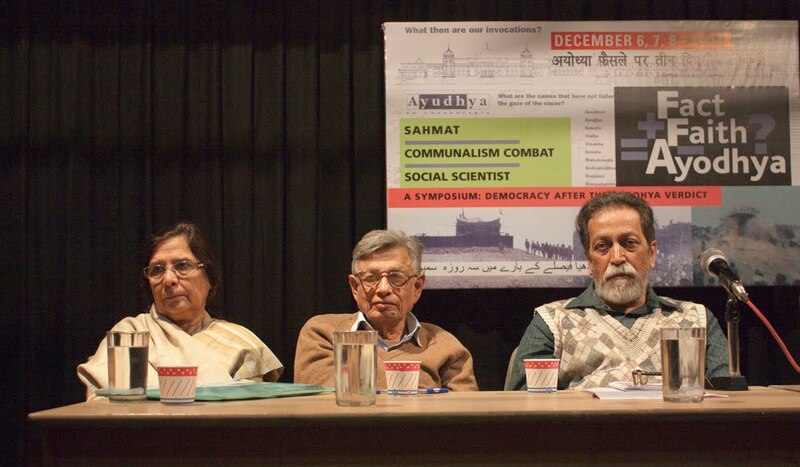 WHEN THE end of the history seemed imminent, Aligarh Muslim University's Irfan Habib kept the faith in the past alive. Honours have come easily to him and Padma Bhushan is just an addition. But this accredited socialist whose scholarly exposition has an aristocratic elegance is as humble as ever. "With so many better historians around, I feel grateful that I have been chosen." In a country where scholars colour their ideologies according to the regime in power, Habib never allowed any hue to touch his pedagogic intent. Still it seems odd on the part of the Indian polity that a UPA government has to be in power to honour Habib. Is it possible one day that a Habib be conferred a Padma award in a BJP regime? "Unlikely," says Habib, "It has nothing to do with the years of independence or maturity of polity. It has its roots in the human factor of subjectivity." He agrees there has been a trivialisation of awards but again points out the subjective assessment which exists even in Nobel prize and incorporation of two many categories. The honour may revive youngsters' interest in history but Habib, still riding his cycle to the department, still carrying that age-old bag full of papers and books on his frail shoulder, feels there is no overt need to make humanities more job-oriented. "It is true that the best talent is not coming to humanities. Some years back it was IT and engineering. Now it is business and banking. All of it has to do with availability of jobs and market economics. Still one can't say that humanities be made more job-oriented because then they will no longer be humanities." 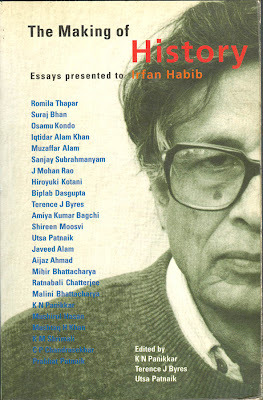 Irfan Habib was born on 12th August, 1931 in Baroda (now Vadodra) Gujrat in a very aristrocrate family of learned scholars. His father Professor Mohammad Habib was a well known historian and a professor in department of history in Aligarh Muslim University.Irfan Habib’s grandfather, Mohammad Naseem was a famous lawyer in Lucknow and a staunch supporter of Aligarh Movement and female education. His mother Sohaila Tayabji was daughter of Abbas Tayabji and grand-daughter of Justice Badruddin Tayabji. Abbas Tyabji was an Indian freedom fighter from Gujarat, who had served as the Chief Justice of the (Baroda) Gujarat High Court. He was son of son of Shamsuddin Tayabji and nephew of Justice Badruddin Tayabji. He was a key ally and supporter of Sardar Vallabhbhai Patel during the 1918 Kheda Satyagraha, and the 1928 Bardoli Satyagraha. He was also a close supporter of Mahatma Gandhi and the Indian National Congress. In 1919-20, Abbas Tyabji was one of the members of the Committee appointed by the Indian National Congress to review the charges against General Dyer for the Amritsar Massacre, which occurred during the fight for independence from the British. Tyabji became the national leader after leading major protests against the arrest of Mahatma Gandhi in May 1930. He was married to Amina Badruddin Tayabji, daughter of Justice Badruddin Tayabji. Justice Badruddin Tayabji was First Indian to be called to the English Bar (1867), and then the first Indian barrister in Bombay. He entered public life after three years at the Bar. Along with Kashinath Telang and Pherozeshah Mehta, he formed the "Triumvirate" that presided over Bombay's public life. Justice Badruddin Tayabji was President of the 3rd session of the Indian National Congress in 1887 which was held in Madras. He was one of the founders of the Anjuman-i-Islam, his brother Camruddin being President. He was Justice of the Bombay High Court from 1895, acting as Chief Justice in 1902, the first Indian to hold this post in Bombay. Irfan Habib started his education in Aligarh Muslim University and completed his B.A. in 1951 securing first position and a gold medal and M.A. in History in 1953 with honors and joined as Lecturer in Department of History in Aligarh Muslim University at a very young age of 22 years. He obtained his D.Phil. degree from New College, Oxford. His research “Agrarian System of Mughal India” was well taken by the research community was published in form of a book in 1963. 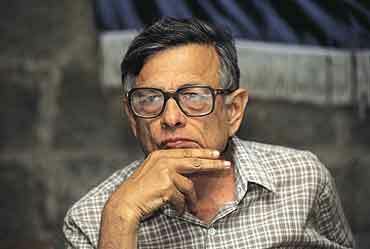 He was appointed as “Reader” in 1960 and “Professor” in 1969 in the Department of History, Aligarh Muslim University. His major publications including, Agrarian System of Mughal India, Essays in Indian History: Towards a Marxist perception and Atlas of the Mughal Empire gave his due place in the academic community. 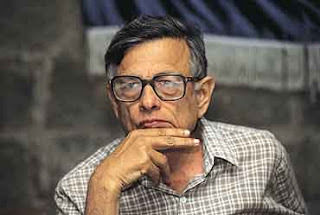 He is also the editor of Peoples History of Indian Series, besides having edited UNESCO publications and Cambridge Economic History of India, Volume I. 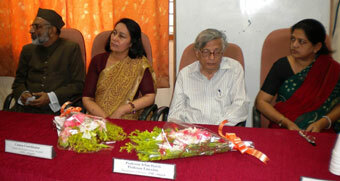 He has authored and edited number of books, over hundred research papers on various fields of Indian and world history. 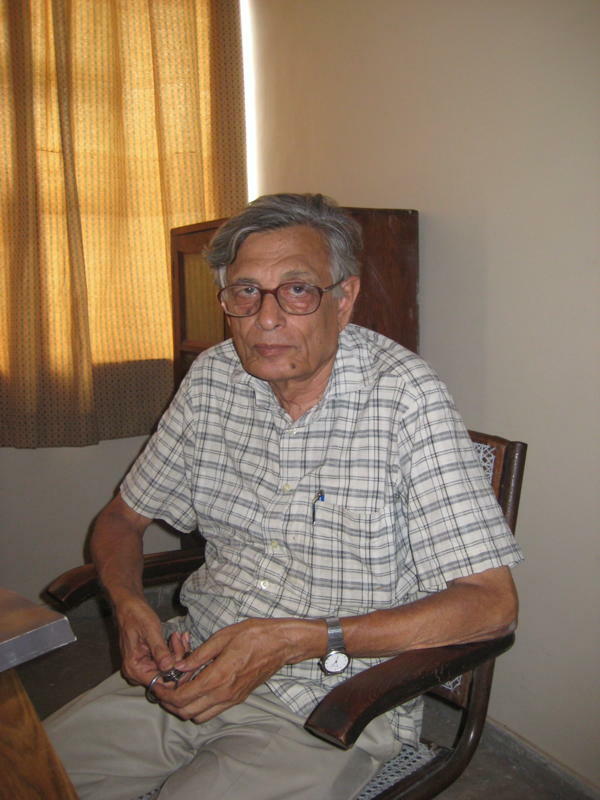 Prof. Irfan Habib has worked on the historical geography of Ancient India, the history of Indian technology, medieval administrative and economic history, colonialism and its impact on India, and historiography. Amiya Kumar Bagchi describes Habib as "one of the two most prominent Marxist historians of India today and at the same time, one of the greatest living historians of India between the twelfth and eighteenth centuries." 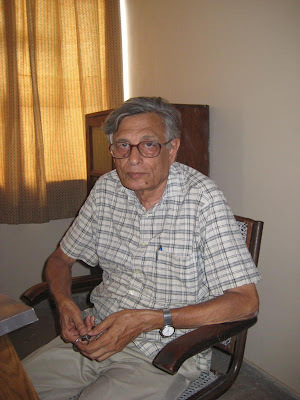 Prof. Irfan Habib had served as Chairman of Department of History of AMU from 1975 to 1977 and from 14th June, 1984 to May 1988. 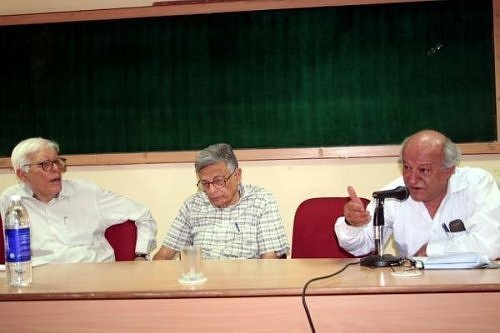 He had also served as Coordinator of Center of Advance Studies (CAS) in Department of History, AMU Aligarh from 1975 to 1977 and 14th June 1994 to 13th May 1996. 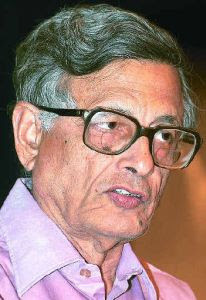 In 1986, Prof. Irfan Habib was appointed as Chairman of Indian Council of Historical Research (ICHR) New Delhi, India. He served as its Chairman from 9th September, 1986 to 1st July 1990. He had also served as President and Vice-President of Indian History Congress in 1981 and 2006 respectively. Indian History Congress is India's largest peer body of historians. He delivered Radhakrishnan Lecture at Oxford in 1991. In 1998, he was elected as Corresponding Fellow of British Royal Historical Society, a unique honor earned by his scholarly contribution, recognized by the international community. 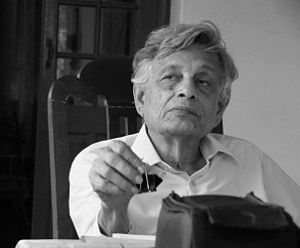 Prof. Irfan Habib, formally retired on 30.08.1991 has remained associated with the Aligarh Muslim University for all these years without a break, displaying unusual academic interest and scholarly activity that stand out as a model par excellence for every one. Prof. Irfan Habib remains a towering personality fully wedded to the secular values of the Indian Republic. He has illuminated the minds of millions of Indians by his in depth, path breaking erudition of Indian History with a new insight that was so refreshing to the promotion of secular ideals in India. 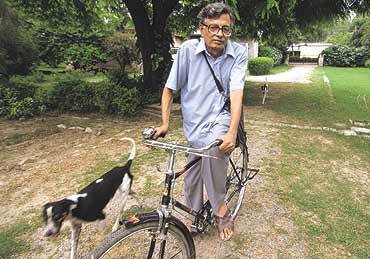 The nation has bestowed on him the coveted civilian title “Padma Bhushan” in 2005. 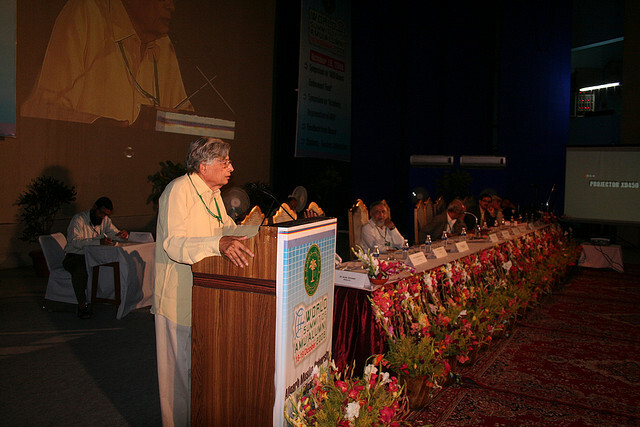 In December 2007, Aligarh Muslim University appointed Prof. Irfan Habib as Professor Emeritus in the department of History. The presence of such a brilliant scholar in the Aligarh Muslim University will add to the academic glory of the institution. He will remain a beacon light for teachers and students of History for several years to come. extensively revised, edition published in 1999 by Oxford University Press. 2. An Atlas of the Mughal Empire: Political and Economic Maps With Detailed Notes, Bibliography, and Index. 3. Essays in Indian History - Towards a Marxist Perception. Tulika Books, 1995. 4. The Economic History of Medieval India: A Survey. Tulika Books, 2001. 5. People's History of India - Part 1: Prehistory. Aligarh Historians Society and Tulika Books, 2001. 6. People’s History of India Part 2 : The Indus Civilization. Aligarh Historians Society and Tulika Books, 2002. 7. A People's History of India Vol. 3 : The Vedic Age. (Co-author Vijay Kumar Thakur) Aligarh Historians Society and Tulika Books, 2003. 8. A People's History of India - Vol 4 : Mauryan India. (Co-author Vivekanand Jha) Aligarh Historians Society and Tulika Books, 2004. 9. A People's History of India - Vol 28 : Indian Economy, 1858-1914. 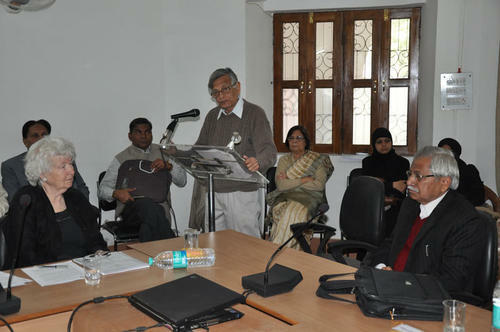 Aligarh Historians Society and Tulika Books 2006. 3. UNESCO History of Humanity, Vol 4: From the seventh to the sixteenth century. (With various co-editors). 4. UNESCO History of Humanity, Vol 5: From the sixteenth to the eighteenth century. (With various co-editors). 1. Co-author, (with S. Jaiswal and A. Mukherjee), History in the New NCERT Text Books — a Report and an Index of Errors, Kolkatta, 2003. 1. ‘Medieval Ayodhya (Awadh), Down to Mughal occupation’, Proceeding of Indian History Congress, Calicut, 2006. 2. Persian Book Writing and Book Use in the Pre-Printing Age, 66th session, Santiniketan, 2005. 3. On the Door Steps of Historical Linguistics – A Note on Mughal Lexicography, 65th session, 2004 Bareilly. 4. Textile Times in Medieval Indian Persian Texts – A Glossary, 64th Session, 2003, Mysore. 5. Political Map of India, First Half of the 14th Century, 63rd Session, Amritsar, 2002. 6. Chaptes on ‘Zamindars’, Peasants’, ‘Labourers and Artisans’, ‘Tribes and Tribal Organisation’, The Village Community and Slavery in J.S. Grewal (ed. ), The State and Society in Medieval India, Oxford, New Delhi, 2005. 7. ‘Evolution of the Afghan Tribal System’, Proceedings of the Indian History Congress, 62nd session, Bhopal, 2001. 8. ‘Exploring Medieval Gender History’, Symposia Papers, Indian History Congress, pub. 2000. 9. ‘The Eighteenth Century in Indian Economic History’, presented at the symposium on The Eighteenth Century as a Category in Asian History’, NIAS, Wassenaar, The Netherlands, June 1998. Published in On the Eighteenth Century as a Category of Asian History, ed. L. Blusse and F. Gaastra, Aldershot, 1998; and in P.G. Marshall, The Eighteenth (Century in Indian History, Oxford, New Delhi, 2003. 10. ‘Economic and Social Aspects of Gardens in Mughal India’, Mughal Gardens-Sources, Places, Representations, and Prospects, Eds. James L. Wescoat Jr. and Foachin Wolschke-Bulmahn, Washington, 1996. 11. ‘Peasant Differentiation and the Structure of Village Community: 16th and 17th-Century Evidence from Northern India’, Peasants in Indian History, ed. V.K. Thakur and A. Aounshuman, Patna, 1996. 12. ‘Agriculture and Agrarian Conditions in South Gujarat, 1596’, Proceedings of the Indian History Congress, Mysore Session, 1994. 13. ‘Akbar and Social Inequities: A Study of the Evolution of his Ideas’, Proceedings of the Indian History Congress, Warangal session, 1993. 14. ‘Slavery in the Delhi Sultanate, Thirteenth and Fourteenth Centuries - Evidence from Sufic Literature’, Indian Historical Review, Vol.XV, Nos.1-2, 1991. 15. ‘Merchant Communities in Pre-Colonial India’, Merchant Empires, ed. James Tracy, Cambridge University Press, Cambridge, 1990, pp.371-399. 16. ‘Land Rights in the Reign of Akbar - the Evidence of the sale-deeds of Vrindaban and Aritha’ (jointly with Tarapada Mukherjee), Proceedings of the Indian History Congress, Golden Jubilee Session, Gorakhpur, 1989. 17. ‘Fatehpur Sikri, the Economic and Social Setting’, Marg, Vol.XXXVIII, 1987. 18. ‘System of Trimetallism in the Age of the Price Revolution - Effects of the Silver Infulx on the Mughal Indian Monetary system’, The Monetary System of Mughal India, ed. J.F. Richards, Oxford, 1987. 19. ‘Classifying Pre-colonial India’, Journal of Peasant Studies, Vol.12 (Nos. 2 & 3), 1985. also in, Feudalism and Non-European Societies, eds. T.J. Byres and Harbans Mukhia, Frank Cass, London, 1985. 20. ‘Price Regulations of Alauddin Khalji - a Defence of Ziya Barani’, Indian Economic and Social History Review, Vol.21, No.4, 1984. 21. ‘Society and Economic change, 1200-1500’, U.P. Historical Review, vol.II, 1983. 22. ‘The Peasant in Indian History’, Presidential Address, Indian History Congress, 1982. Published in its Proceedings, 1982 session. 23. ‘Economic History of the Delhi Sultanate, an Essay in Interpretation’, Indian Historical Review, vol.IV, No.2, 1978. 24. ‘Indian Textile Industry in the 17th Century’, Professor S.C. Sarkar Felicitation Volume, New Delhi,1976. 25. ‘The System of Bills of Exchange (Hundis) in the Mughal Empire’, Proceedings of the Indian HistoryCongress, Muzaffarpur, Session, 1972. 26. ‘The Jatts of Punjab and Sind’ - Presidential Address at Punjab History Conference, 1971, published in Proceedings of the Conference, and subsequently in Punjab Past and Present, Essays in Honour of Dr Ganda Singh, eds., Harbans Singh and N. Gerald Barrier, Punjabi University, Patiala. 27. ‘Potentialities of Capitalistic Development in the Economy of Mughal India’ Journal of Economic History, (U.S.), 29, 1 (March 1969), and in Enquiry, N.S., vol.III, No.3, 1971. 28. ‘Aspects of Agrarian Relations and Economy in a Region of Uttar Pradesh during the 16th century’, Indian Economic and Social History Review IV(3), 1967. 29. ‘Distribution of Landed property in Pre-British India’ Enquiry, N.S. II(3), Winter 1965, Delhi, and in the Kosambi Commemoration Volume,Indian Society Historical Probings,ed.R.S.Sharma. 30. ‘Evidence for 16th century Agrarian conditions in the Guru Granth Sahib’, Indian Economic and Social History Review, I, 1964. 31. ‘Usury in Medieval India’, Comparative Studies in Society and History, VI, 1964, the Hague. 32. ‘The Currency System of the Mughal Empire (1556-1707)’, Medieval India Quarterly, IV (Nos.1-2), Aligarh, 1960. 33. ‘Banking in Mughal India’, Contributions to Indian Economic History-I, ed. Tapan Raychaudhuri, Calcutta, 1960. 34. ‘The Agrarian causes of the fall of the Mughal Empire’, Enquiry, 2 & 3, 1959. 35. ‘Zamindars in the Ain’, Proceedings of the Indian History Congress,Trivandrum, Session 1958. 36. ‘Textile Terms in Medieval Indian Persian Texts: A Glossary’, ‘Proceedings of the Indian History Congress, 64th session, Mysore, 2003. 37. ‘Joseph Needham and the History of Indian Technology’, Indian Journal of History of Science, Vol.35, No.3, 2000. 38. ‘Akbar and Technology’, in Akbar and his India ed. I. Habib, Delhi, 1997. 39. ‘Pursuing the History of Indian Technology: Pre-Modern Modes of Transmission of Power’, Social Scientist, Vol.20 nos.3-4 March -April 1992. 40. ‘Capacity of Technological Change in Mughal India’, in: Aniruddha Roy and S.K.Bagchi (eds.) Technology in Ancient and Medieval India, Delhi, 1986, pp.1-14. 41. ‘Technological transmissions between the Islamic World and India in Medieval times’ (UNESCO Symposium Kuwait, 1984), published: ‘Medieval Technology Exchanges Between India and the Islamic World’, Aligarh Journal of Oriental Studies, II (1-2), 1985. 42. ‘Changes in Technology in Medieval India’ Studies in History, Vol.II, No.1, 1980. 43. ‘The Technology and Economy of Mughal India’, IESHR, Vol.XVII, No.1, 1980. 44. ‘Technology and barriers to Technological Change in Mughal India’, Indian Historical Review, Vol.V, No.1-2, 1978-79. 45. ‘Technological Changes and Society, 13th and 14th centuries’, Presidential Address, Section II, Indian Historical Congress, Varanasi Session, ,1969, published in the Proceedings of the Indian History Congress, 1969 session, and with addendum in Debiprasad Chattopadhyaya (ed.) Studies in the History of Science in India, Vol.II, New Delhi, 1982. 46. ‘Political Map of India, First Half of the Fourteenth Century’ (with Faiz Habib), Proceedings of the Indian History Congress, 63rd session, Amritsar, pub. 2003. 48. ‘Imagining River Sarasvati - A Defence of Commonsense’, Proceedings of the Indian History Congress, Kolkata session, pub. 2001. 49. ‘India in the Seventh Century: a survey of Political Geography’, (with Faiz Habib), Proceedings of the Indian History Congress, Calicut session, 2000. 50. ‘Mapping the Evolution and Diffusion of Humankind and India’s Place in it’, jointly with Faiz Habib, Proceedings of the Indian History Congress, Patiala session, 1999. 51. ‘The Historical Geography of India, 1800-800 BC’, jointly with Faiz Habib, Proceedings of the Indian History Congress, 53rd session, New Delhi, 1993. 52. ‘Mapping the Mauryan Empire’ (jointly with Faiz Habib), Proceedings of the Indian History Congress,Gorakhpur, 1990. 53. ‘Mapping the Archaeological Cultures, B.C. 1800-800’ (jointly with Faiz Habib), Proceedings of the Indian History Congress, 49th Session, Dharwar, 1989. 54. ‘The Geography and Economy of the Indus Civilization-Text accompanying Map’ (jointly with Faiz Habib),Proceedings of the Indian History Congress, Goa Session, 1988. 55. ‘The Economic Map of India, A.D. 1-300’ (jointly with Faiz Habib), Proceedings of Indian History Congress, Srinagar Session, 1987. 56. ‘Political Geography of Northern India First Half of the Thirteenth Century’ (jointly with Faiz Habib),Proceedings of Indian History Congress, Bangalore session, 1998. 57. ‘A Map of India, 600-320 B.C.’, (jointly with Faiz Habib), Proceedings of the Indian History Congress,Calcutta, 1996. 58. ‘A Map of India, B.C. 200 A.D. 300 Based on Epigraphic Evidence’, Proceedings of Indian History Congress, Calcutta session, 1991. 59. ‘Political Map of Northern India, first half of the Thirteenth Century’, Proceedings of the Indian History Congress, Bangalore session, 1998. 60. “From Oxus to Yamuna (c.600-c.750)’ (jointly with Faiz Habib), Proceedings of the Indian History Congress, Aligarh, 1995. 61. ‘Cartography in Mughal India’, Medieval India — a Miscellany, ed.K.A. Nizami, Vol.IV, Bombay,1977. 62. ‘Sutlej and Beas in the Medieval Period’, The Geographer, Aligarh, Vol.6(2), 1954. 63. Chapters on ‘The Delhi Sultanate‘ and ‘The Mughal Empire’ in J.S. Grewal (ed. ), State and Society in Medieval India, Oxford, New Delhi, 2005. 64. ‘Formation of the Sultanate Ruling Class’, Medieval India, I, 1992. 65. ‘Review article on Andre Wink’s “Land and Sovereignty in India - Agrarian System and Politics under the Eighteenth Century Maratha Svarajya”,’ Indian Economic and Social History Review, Vol.XXV, No.4, Oct.-Dec.1988; and Reply to Wink’s rejoinder, IESHR, XXVI(3), 1989. 66. ‘The Mughal Administration and the Temples of Vrindavan during the Reigns of Jahangir and Shahjahan’,(jointly with Tarapada Mukherjee), Proceedings of the Indian History Congress, 49th Session, Dharwar,pub. 1989. 67. ‘Akbar and the Temples of Mathura and its Environs’ (jointly with Tarapada Mukherjee), Proceedings of the Indian History Congress, Goa Session, 1988. 68. ‘Postal Communications in Mughal India’, Proceedings of the Indian History Congress, Amritsar Session, 1985. 69. ‘Mansab salary scales under Jahangir and Shahjahan’, Islamic Culture, 4 IX, No.3, 1985. 70. ‘The Family of Nur Jahan during Jahangir’s Reign - a Political Study’ Medieval India - a Miscellany Vol.I, 1969. 71. ‘The Mansab System, 1595-1637’ Proceedings of the Indian History Congress, Patiala session, 1968. 72. ‘Processes of accumulation in pre-colonial and colonial India’, Indian Historical Review, Vol.XI, No.1-2, 1985/1988. 73. ‘Studying a colonial economy without perceiving colonialism’, Modern Asian Studies, Cambridge,19(2), 1985. 74. ‘Marx’s Perceptions of India’, Marx on India and Indonesia, Karl-Marx-Haus, Trier, 1983; & inMarxist, Delhi, Vol.I, No.1, 1983. 75. ‘Colonialization of the Indian Economy’, Social Scientist, No.32, 1973. 76. ‘The Coming of 1857’, in: Indian People in the Struggle for Freedom, Sahmat, 1998. 77. ‘The Left in the National Movement’, in ibid. 78. ‘Civil Disobedience, 1930-31’, Social Scientist, Vol.25 (8-9) 1997. 79. ‘The Formation of India – Notes on the History of an Idea’, Social Scientist, Vol.25 (7-8), 1997. 80. ‘Gandhiji’, in: Addressing Gandhi, Sahmat, New Delhi, 1995. 81. ‘Gandhi and the National Movement’, Social Scientist, Vol.23 (4-6), 1995. 82. ‘In Defence of Orientalism: Critical Notes on Edward Said’, Social Scientist, Vol.33(1-2) (2005), andInternational Socialism, London, Autumn, 2005. 83. ‘What Makes the World Change — the long view’, pub. Asian College of Journalism, Chennai, 2003. 84. ‘Timur in the Political Tradition and Historiography of Mughal India’, in L’Heritage timouride, ed. Maria S Zuppe, Tashkent, 1997. 85. ‘Problems of Marxist Historiography’. Social Scientist, No.187, 1988. 86. ‘Theories of Social Change in South Asia’, The Journal of Social Studies, Dhaka, Vol.33. 87. ‘Barani’s theory of the history of Delhi Sultanate’, Indian Historical Review, Vol.7, Nos.1-2, 1980-81. 88. ‘Problems of Marxist Historical Analysis’, Science and Human Progress - Prof.D.D. Kosambi Commemoration Volume 1974; and in Enquiry, NS. No.III(2)19. 89. ‘India look at herself’, Times Literary Supplement, No.3, 361, July 28, 1966. 90. ‘An examination of Wittfogel’s Theory of Oriental Despotism’, Enquiry, 6, 1961. 91. ‘Historians of Medieval India and the Process of National Integration’, Proceedings of the Indian History Congress, 1961, Session; and in The Punjab Past and Present, Vol.VI-1, 1972. 92. ‘Problems of the Study of the Economic History of Medieval India’, Problems of Historical Writings in India, ed. S. Gopal and Romila Thapar, Delhi, 1963. 93. ‘Persian Writing and Book Use in the Pre-Printing Age’, Proceedings of the Indian History Congress,66th Session, Santiniketan, 2005. 94. ‘A Fragmentary Exploration of an Indian Text on Religion and Sects: Notes on the Earlier Version of the Dabistan-i Mazahib’, Proceedings of the Indian History Congress, Kolkata session, 2001. 95. ‘Ziya Barani’s Vision of the State’, The Medieval History Journal, SAGE, II (1), 1999. 96. ‘A Political Theory for the Mughal Empire — a Study of the Ideas of Abu’l Fazl’, Proceedings of the Indian History Congress, Patiala session, pub. 1999. 97. ‘The Formation of India: Notes on the History of an Idea’, Social Scientist, Nos.290-91 (1997), pub.1998. 98. ‘A Documentary History of the Gosains of the Chaitanya Sect of Vrindaban’, IHC, 51 Session, Calcutta 1990. Margaret H. Case (ed. ), Govindadeva. A Dialogue in Stone, New Delhi, 1996. 99. “Medieval Popular Monotheism and its Humanism - the Historical Setting’, Social Scientist, No.235,1993. 100. ‘Akbar and His Age’, Social Scientist, No.232-3, 1992. 101. ‘Reason and Science in Medieval India’, Society and Ideology in India: Essays in Honour of Professor R.S. Sharma, ed. D.N. Jha, New Delhi, 1996, pp.163-74. 102. ‘Reason and History’, Zakir Husain Memorial Lecture, ‘Zakir Husain College, New Delhi, 1994. 103. ‘The Political Role of Shaikh Ahmad Sirhindi and Shah Waliullah’, Proceedings of the Indian History Congress, Aligarh, Session, 1960. 105. Critique of the Archaeological Survey of India’s Report on Babri Masjid Excavations, Ayodhya’, Frontline, 26 September 2003/ A.G. Noorani (ed. ), The Babri Masjid Question, I, Tulika, New Delhi,2003, pp.163-168. 106. ‘Unreason and Archaeology- The Painted Grey-Ware and Beyond’, Social Scientist, Vol.25, Nos.1-2, Jan-Feb.1997. 107. 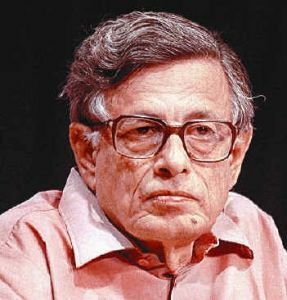 ‘Capital Accumulation and the Exploitation of the Unequal World — Insights from a Debate withinMarxism’, Essays Presented to Professor Hiren Mukherjee, Kolkata, 2002. 108. ‘Capitalism in History’, Social Scientist, 266-8, Nos.7-9. July-Sept 1995. 109. ‘The Marxian Theory of Socialism and the Experience of Socialist Societies’, Social Scientist, Vol.21,Nos.5-6, May-June, 1993. 110. On the Doorsteps of Historical Linguistics — A Note on Mughal Lexicography, Proceedings of the Indian History Congress, 65th session, Bareilly, 2004. 111. “Linguistic Materials From Eighth-Century Sind: An Exploration of the Chachnama” Symposia Papers:IHC 55 Session’, Aligarh 1994. 112. ‘Fifty Years of Independence: A Historical Survey’, Fifty Years of Indian Art, Institutions, Issues,Concepts and Conversations , Ed. Bina Sarkar Ellias, Mumbai, 1997. 113. ‘Emergence of Nationalities in India’, Social Scientist, No.37, 1976. 114. ‘The Role of Marxist Intellectuals in India Today’, Social Scientist, I(5), 1972. Among the first six Jawaharlal Nehru Fellows, 1968. 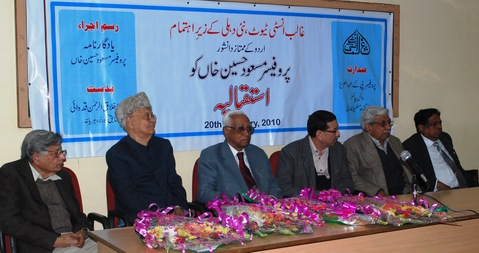 Muzaffar Ahmad Memorial Prize, 2006. Degree of Doctor of Letters, Honoris Causa, from Banaras Hindu University, 2008. Ibn Sina Memorial Lecture, 2009 (Ibn Sina Academy of Medieval Medicine and Sciences). Thank you and also i am expecting much more post from you. So please keep update like this. Hope it may be useful at any costs.And please keep post like this. Really useful information. Thank you very much. It is a great job that you are working and offer our necessary need to your posts. We like your job and wish you all the best. Thanks for sharing the valuable information here. So i think i got some useful information with this content. Thank you and please keep update like this informative details.